SEL30M35E 30mm F3.5 Macro Lens. from JAPAN NEW. This Sony SEL 30mm f/3.5 Aspherical ED lens makes the perfect addition to your camera setup. Your lens makes all the difference when it comes to taking fine quality images, and this Sony SEL 30mm f/3.5 Aspherical ED lens gives you results that are simply outstanding every time. For budding photographers and professionals, this Sony SEL 30mm f/3.5 Aspherical ED lens provides you with sharp optics and a crystal-clear photo. The Sony brand is a market leader, specializing in providing users with the finest quality audio and visual products. This Sony SEL 30mm f/3.5 Aspherical ED lens gives users everything that they can expect from this world class electronics brand. With reliability and durability being a central focus throughout the Sony product range, you can have extra confidence in your purchase of a Sony SEL 30mm f/3.5 Aspherical ED lens. For an excellent photography experience, choose a Sony SEL 30mm f/3.5 lens to add to your collection. With a f-stop of 3.5, this lens by the Sony brand works extremely well in lowlight conditions, picking out fine details without any blur or noise coming through in the photo. This Sony lens has a wide-angle view, so that you can capture your surroundings in the best way possible. This lens has a focal length of 30mm, allowing you to get up-close to your subjects and objects, when you are snapping away with your camera. Take your Sony macro lens out and about, thanks to its lightweight portability. The Sony f/3.5 lens has a 1:1 magnification ratio, so you can fill up the frame for a quality shot of your object. This innovative lens minimizes chromatic aberration. The f/3.5 aperture is able to define colors accurately, giving you a true to life quality when you review your images. The lens hood helps to protect it from damage and scratches, and keeps it nice and stable while being used. Thanks to the superb Sony SEL 30mm f/3.5 Aspherical ED e-mount lens having a well-balanced magnification ratio system, you can get perfect precision for enhanced image quality. Use your Sony SEL 30mm f/3.5 Aspherical ED lens to take family portrait shots, or images of natural wildlife, and be impressed by the clarity that results with this fine piece of camera equipment. This macro lens offers sharp detail and excellent resolution, and has a 2.4cm minimum working distance. Extra-low dispersion glass is used to create this high-end professional photography lens by the Sony brand. For shots that are close-up, the auto-focus mechanism works quickly to give you a sharp focus, within a matter of seconds. Extremely sharp lens, small size and light weight make this a very good macro to travel with altough distance to subject can get very close obscuring light on the subject at its closest focus. Slower focus to other macro lenses ive used but that could be the mirrorless Sony NEX3N camera im using. A uv filter cant be used with the supplied hood so another hood can be used if a uv filter to protect the lens is on. The lens looks in good shape and the pictures I took with it look good. The bottom lens cover was not included, although it was in the pictures, and instead had aluminum foil covering the bottom. I have a cap of my own, so not a big problem. Feels good, nice picture quality, missing Optical SteadyShot. 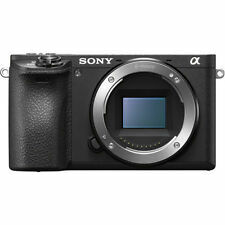 I bought this for my Sony Nex 5N camera, to be able to take some up close, macro, pictures. Beeing that I wasn't satisfied enough with the the other lenses i have (18-55mm and 16mm). I am satisfied with this lens, a real macro with good picture quality. The lens itself also feels very good, as Sony E mount lenses do. It's about the same size as the 18-55mm lens. What I dont like so much about it is that it can be slow focusing sometimes. Especially if you go from focusing on something close, to something further away. And this with the latest firmware update on the camera as of the date of the review. Also, I would like to have Optical SteadyShot for image stabilisation, as some pictures can become a little blurry if not held steady, or with low shutter speeds. Lightweight, solid construction, close focus (of course it's a macro), excellent sharpness. For the price, this is an excellent value. I've got a Zeiss Touit 32mm f/1.8 Lens for low light situations, but it's not a macro. So, if you need a macro on a budget for your E-mount, this is it.